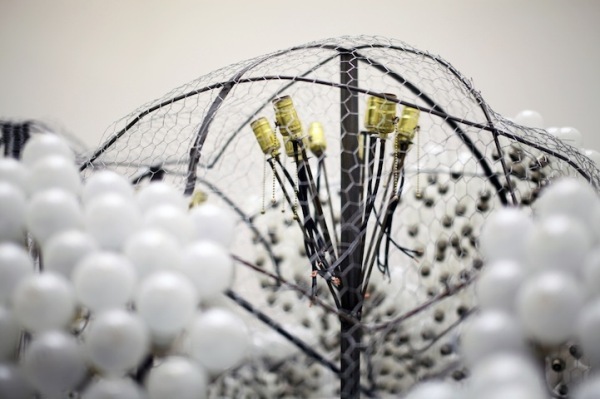 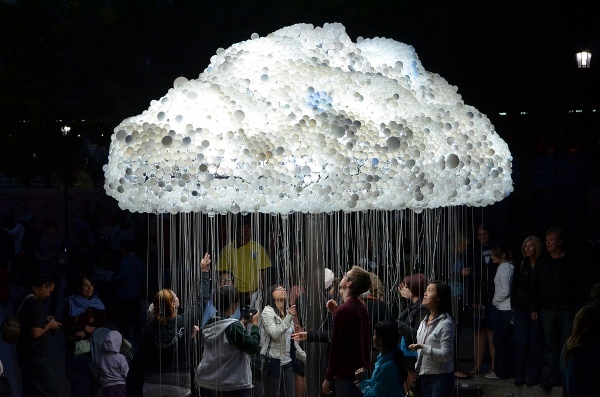 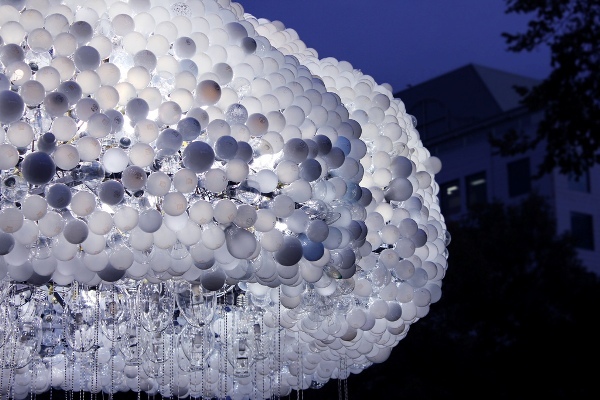 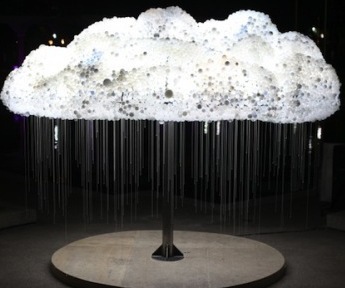 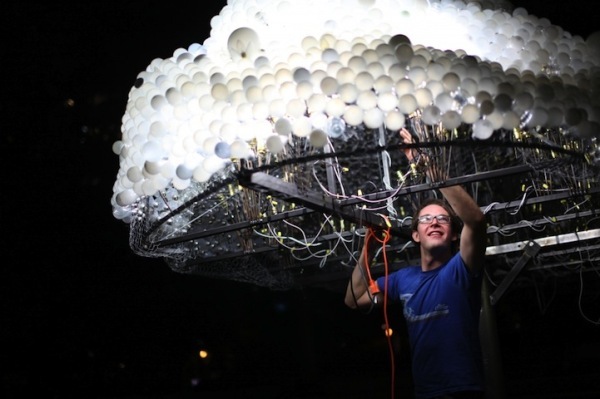 Electric Cloud Made of 5,000 Light Bulbs! 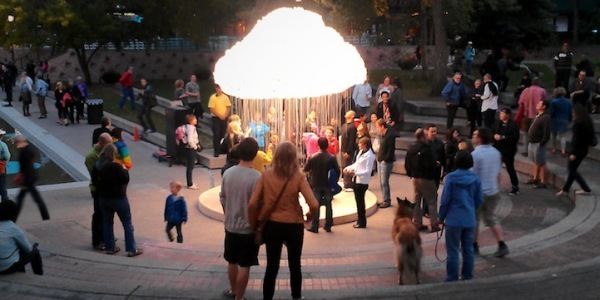 This electric cloud made by artist Caitlind r. c. Brown from Calgary, in collaboration with multi-talented machinist, musician, and artist Wayne Garrett, built this surreal cloud for the contemporary art festival, Nuit Blanche Calgary. 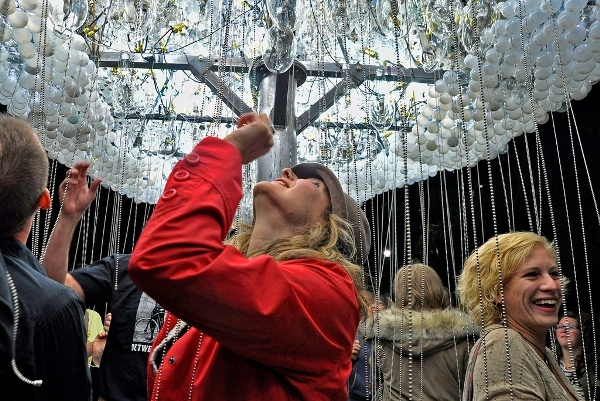 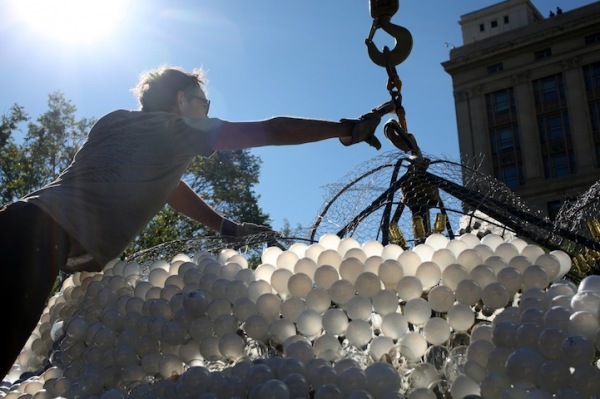 Formed out of more than 5,000 light bulbs, as well as metal pull-strings and steel, the sculpture hung overhead throughout the night as a fun and interactive public display. 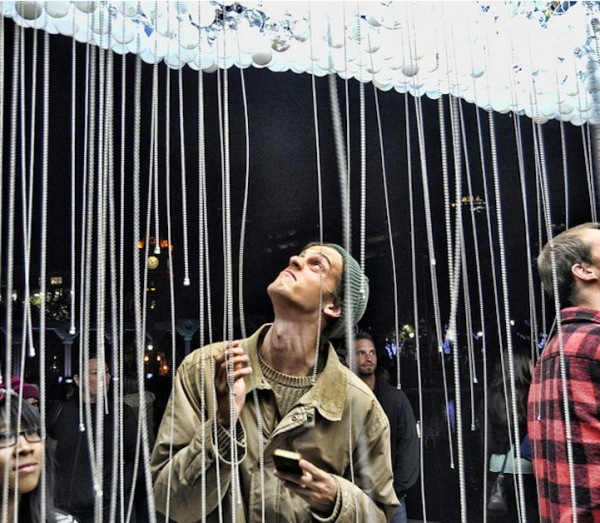 Visitors could wander below the structure, surrounded by hanging cords which activated the bulbs. 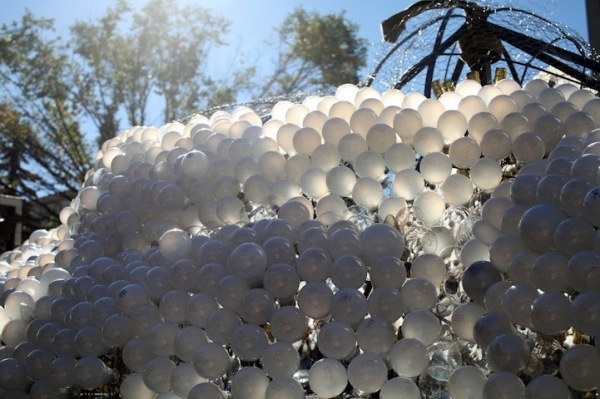 They were just asking to be pulled! 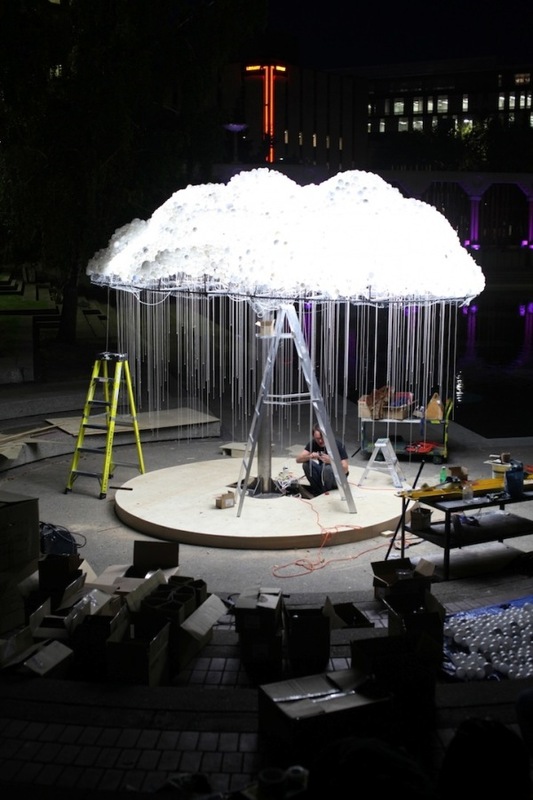 The human interactions with the 18-foot sculpture transformed the fluffy white shape into a shiny, electric cloud made out of recycled, reused, and repurposed materials. 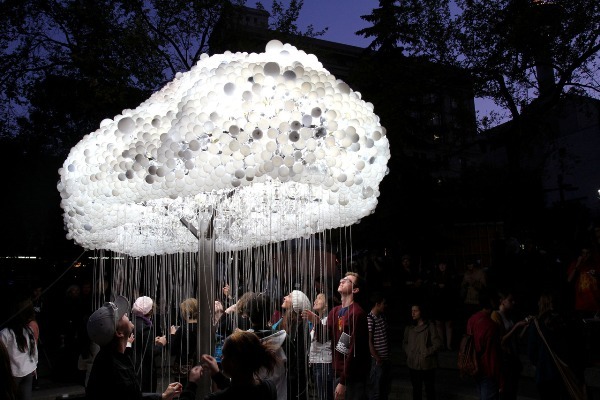 Standing within the cloud of incandescent light, viewers were transported into an unusual place where nature-like forms emerged out of synthetic objects. 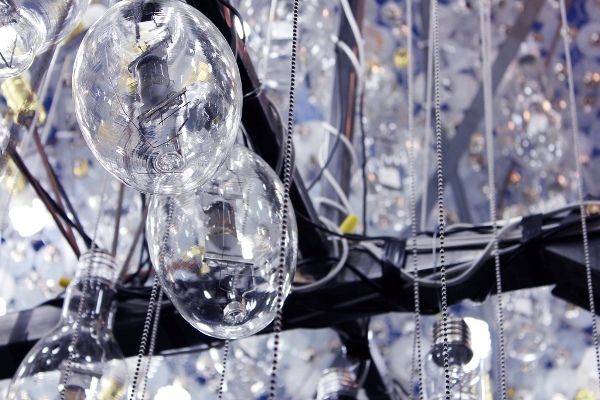 Most of the bulbs were functioning while some of them were burnt out and, as the working ones flickered between on and off, the installation became alive with light and energy. 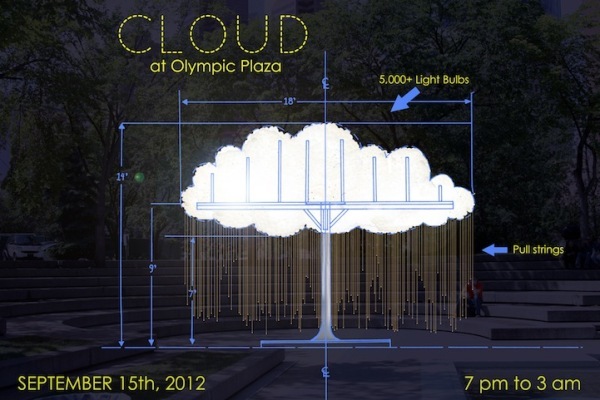 From a distance, observers could witness the illusion of lightning flash across the surface of the suspended cloud.